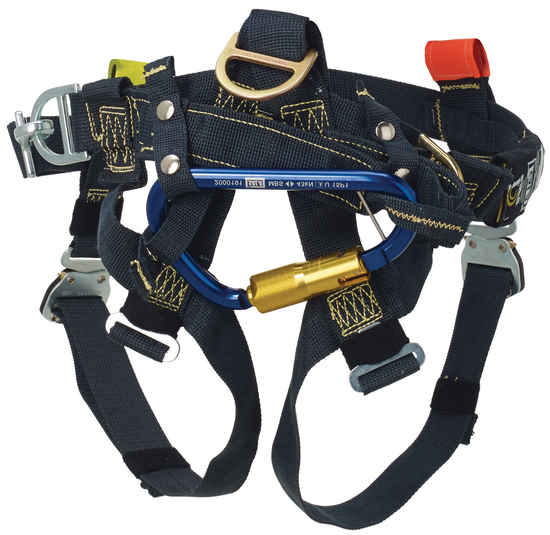 The MOST ADVANCED, fully Convertible Harness available for the fire service today! 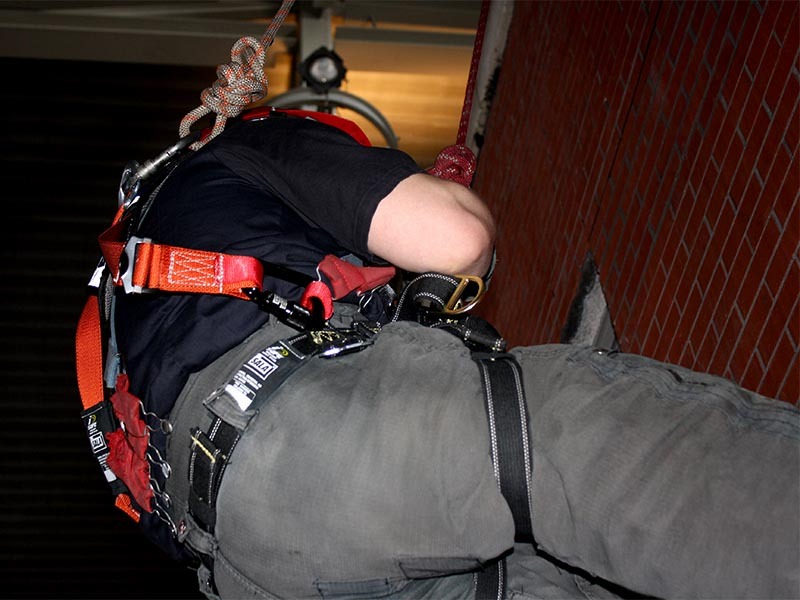 This U.S. Patented harness is specially designed for your down and dirty technical rescue operations: Quick High Angle Operations, Trench Collapses, Confined Rescue, etc. 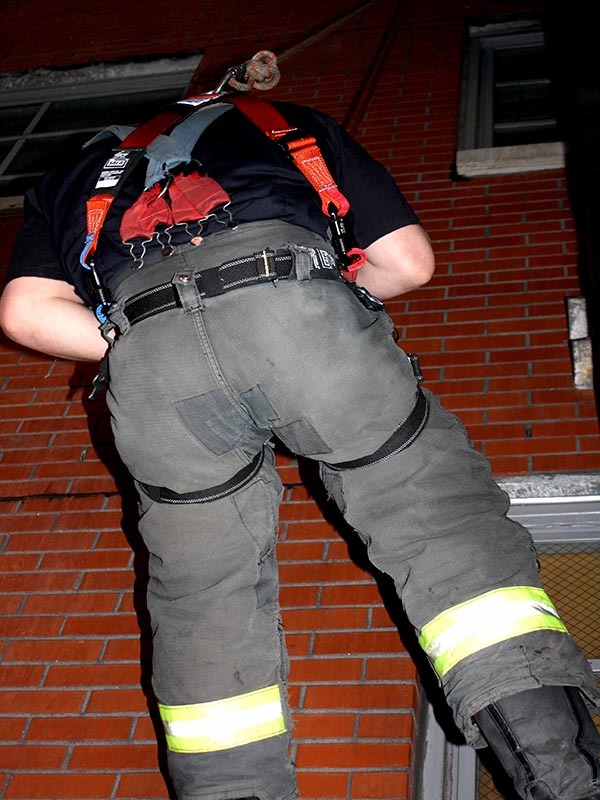 Designed with the firefighter in mind, the lower fire resistant Kevlar™ portion of the harness is designed to be worn continuously on the exterior of you bunker pants allowing for the greatest of function in a fire service type harness, but also allows for convertibility by simply adding the upper yoke to form a full Class III technical rescue seat style harness. 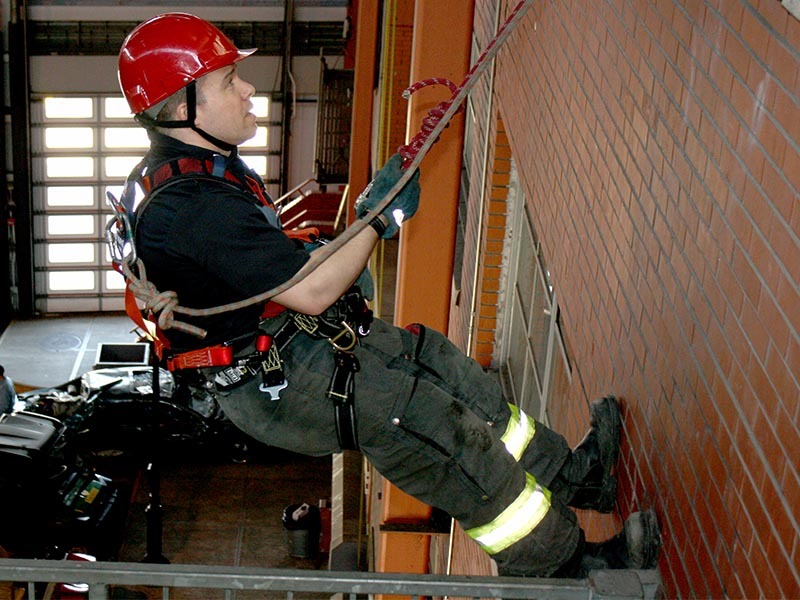 This harness allows for on-the-fly conversion since every response is different. Designed for the largest Special Operations Command (SOC) in the fire service, this harness has revolutionized the fire service harness industry. The lower portion is manufactured from Kevlar webbing for superior durability, cut and abrasion resistance, as well as certified to the elevated temperature test in NFPA 1983. 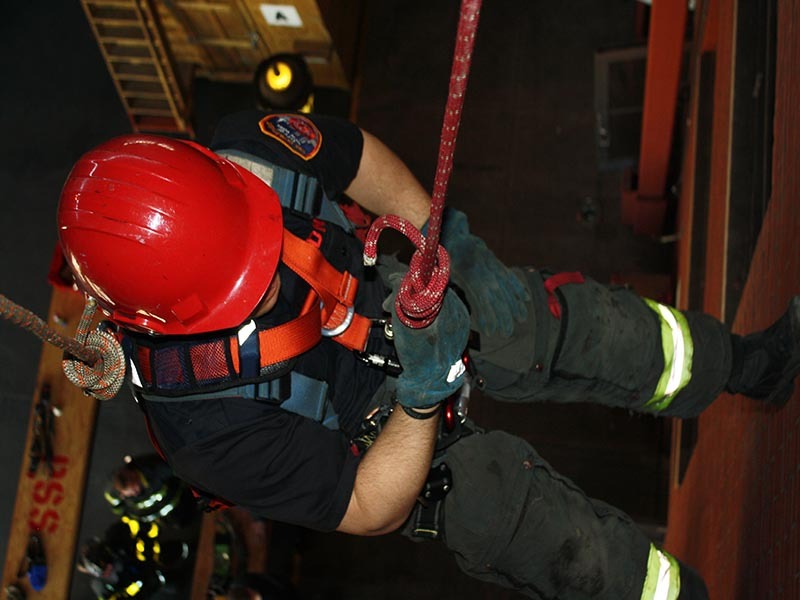 This lower portion can be used for both fire related rope work such as the FDNY Life Saving Rope Evolution, it can easily be converted to assist in downed firefighter removal, as well as create a fire resistant platform for your personal escape system. 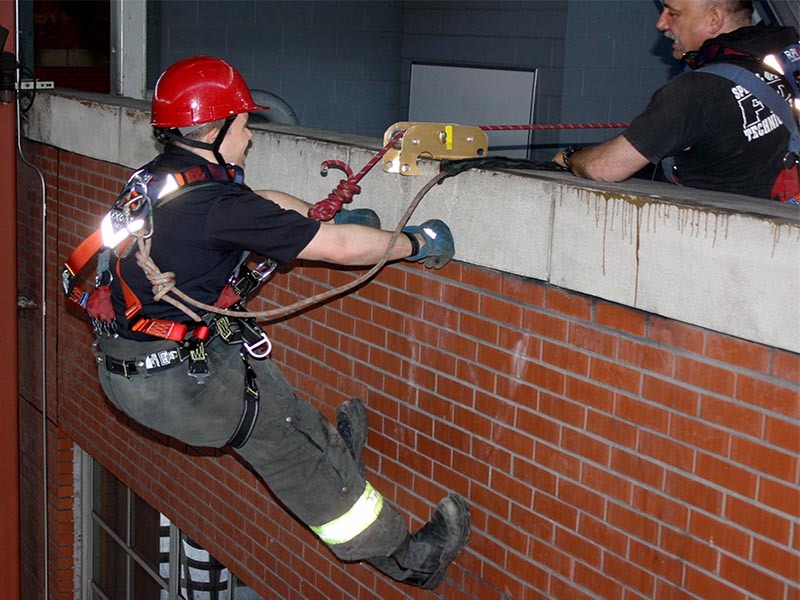 Think about it for a second… if we are all so concerned with the rope of an escape system being fire resistant, then shouldn’t we be equally concerned if our attachment point to the firefighter is fire resistant? We are only as strong as our weakest link! Don’t let that weak link be your harness! This RPI/3M Capital Safety® Class II/III Defender (FR) Fire Rescue Harness is designed to meet the demanding needs of the fire service and the technical rescue community, and built for everyday use. 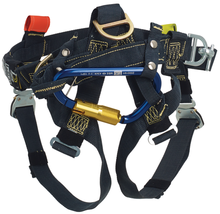 The durable, yet lightweight design of the upper yoke, is fast and easy to don and can be attached to the lower portion of the harness while seat belted in a moving fire apparatus responding. Designed by FIREFIGHTERS, for FIREFIGHTERS! 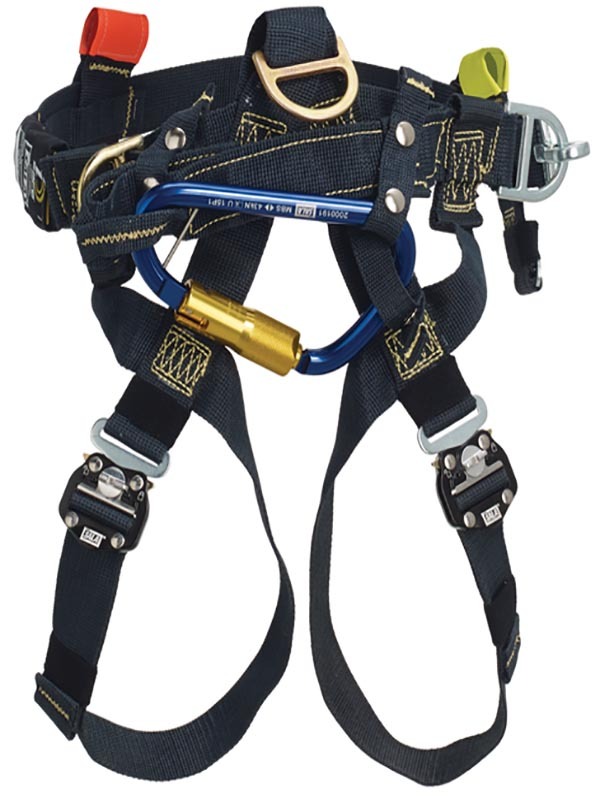 Triple action carabiner is NFPA "G" rated, meets ANSI requirements and has a 2 in. (51 mm) side opening gate.